Vacant lot with no utilities. 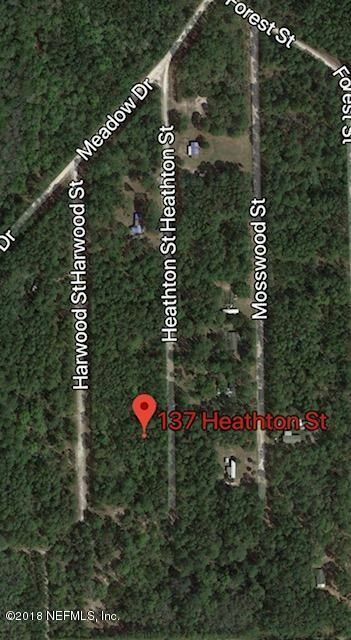 Sold together with adjoining lot located at 137 Heathton Street, Georgetown, Florida 32139. Adjacent lot bearing parcel number 12-13-26-4910-0070-1110. Each parcel measuring .23 acres for a total of .46 acres. Seller will not pay for survey. No sign on property.